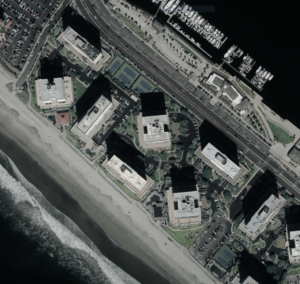 David Daniel Kabbaz and Victoria Zaga de Daniel, husband and wife, purchased Unit 1104 at 1750 Avenida del Mundo in Coronado, California in 1980 subject to a preexisting loan which was fully released in July, 1996. The deed did not disclose the full price paid. 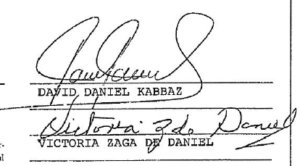 On April 14, 1981, David Daniel Kabbaz and Victoria Zaga de Daniel borrowed $200,000 against the condo. ChedrauiLeaks has been unable to find any other records pertaining to the loan in San Diego County land records. On October 8, 1982, David Daniel Kabbaz and Victoria Zaga de Daniel granted title to the condo to Festival Financial N.V., a Netherlands Antilles corporation. The deed did not disclose the full price paid: the documentary transfer tax was “computed on full value less value of liens and encumbrances remaining at time of sale.” David Daniel Kabbaz was president of Festival Financial N.V. as of November 25, 1981, when he signed a declaration in connection with a separate unit at 1750 Avenida del Mundo. On April 23, 1996, Festival Financial N.V. appointed David Daniel Kabbaz Chiver to take any action in connection with the company’s real estate for a period of one year. On May 20, 1996, David Daniel Kabbaz Chiver signed a deed on behalf of Festival Financial N.V. to sell the condo for $650,000 (based on the documentary transfer tax paid).